There is no doubt that while visiting Battle there are a lots of things that will keep you very busy. One thing that you will really want to set some time aside for, is going on a shopping spree. As a tourist, chances are that you want to take some things back home as souvenirs of your trip, as well as gifts for your family and friends. Whenever visiting such a wonderful location, you really want to focus on a few items that are pertinent to the area. Here in Battle you can not only shop for things that have been British designed but made in Britain as well. 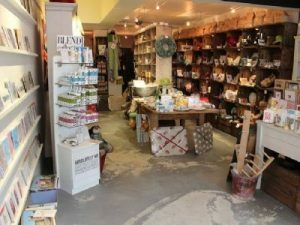 You will find that there is actually a shop by the name, British Design British Made, that you can visit. The things that they sell are made in the British Isles and that too from recycled materials. This offers a great experience even if you are only window shopping, but surely you will come away with an item or two. Another selection of shops that you will see are craft shops that are loaded with pieces of arts and crafts as also various types of stationery. If you are staying a while in Battle, and want to send some notes back home, then sending them on stationery that you can obtain from these shops will add a wonderful touch to your correspondence. Perhaps you are looking for some quality attire that fits in with that which is worn in Battle, then you will find several country clothing stores to choose from to help you find exactly what you are looking for. If you happen to be an antique lover or are looking for some gifts that you can adorn your home with that will also be a souvenir of your trip, you will find ample shopping here to meet your needs.